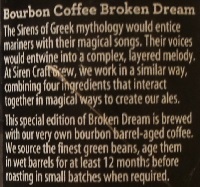 Brewer Description: (from bottle) This special edition of Broken Dream is brewed with our very own bourbon barrel-aged coffee. We source the finest green beans, age them in wet barrels for at least 12 months before roasting in small batches when required. Intro: A 330ml bottle with a best before date of 4th January 2018. Poured into a Lost Abbey teku glass. Appearance: It poured black in colour with a less than one finger brown head that dissipated quickly and left only sparse to no lacing. Aroma: Roasted malt, coffee, chocolate and brown sugar. Taste: Roasty malt and milk coffee with only hints of chocolate, vanilla and oak. 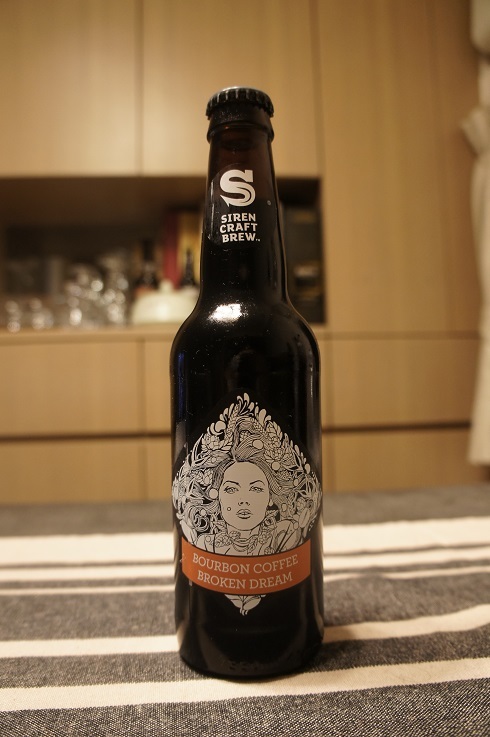 Overall: This was ok, but given the name, even if its just the coffee beans aged in bourbon barrels, I was expecting some bourbon flavours, but unfortunately, I got nothing at all. 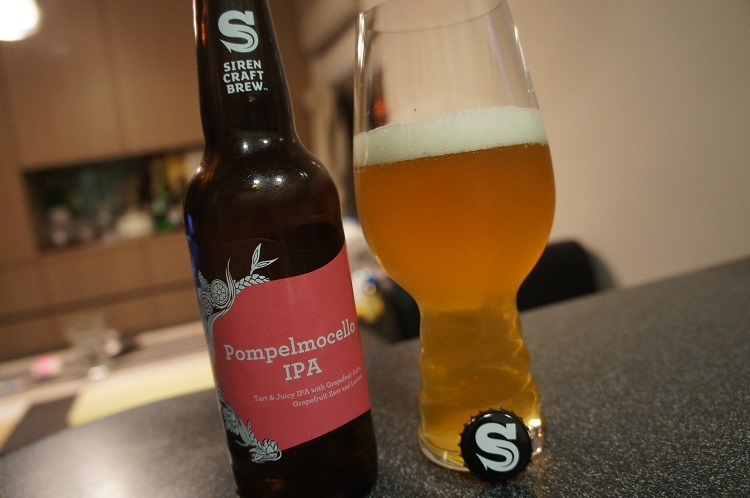 Brewer Description: (from bottle) This sour IPA is hopped with Enigma, Bravo and Apollo to create the biggest grapefruity hop profile we could muster, but we’ve also included grapefruit zest and juice for good measure. Added lactose rounds things off with a sweet and smooth touch. 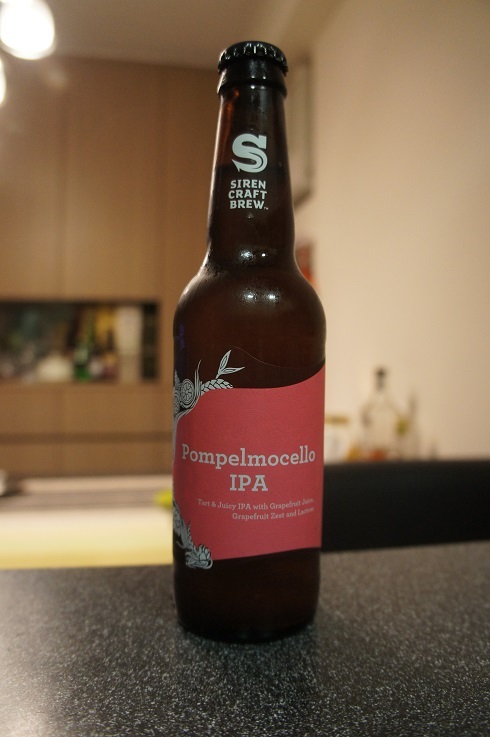 Intro: A 330ml bottle with a best before date of 7th December 2016 and poured into a Spiegelau IPA glass. Appearance: It poured a slightly hazy golden colour with a one finger white head that dissipated quickly but left some nice lacing. Aroma: Intense fresh grapefruit and grapefruit juice aromas with some gummy bear candy orange and a hint of lime and pine. Taste: Tart and sour mango with pomelo, grapefruit and orange in the background. However, the finish just drops off to nothing. 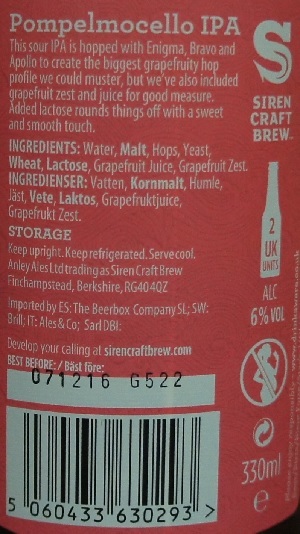 Mouthfeel: Tangy, light bodied with medium carbonation. 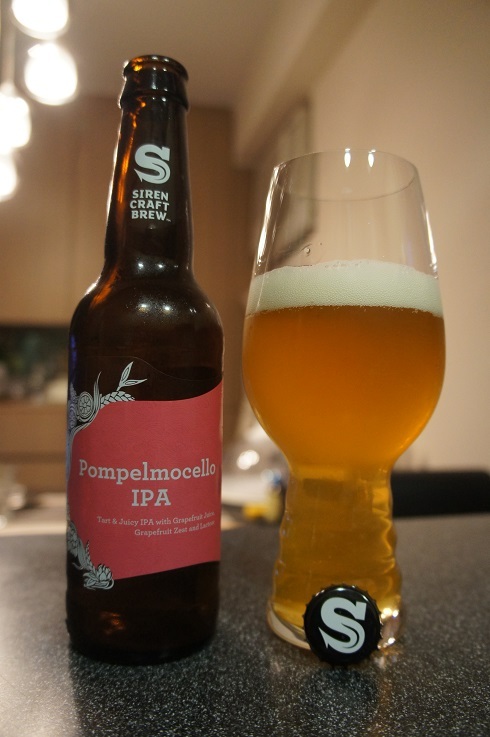 Overall: I don’t get much bitterness from this IPA. Its much more sour than bitter and just seems more like a Berliner Weisse to me. I really liked the taste at the beginning and would have rated it higher if the finish was better. It really didn’t taste like much at the end. However, it’s very juice like and so very easy to drink. This was nice, but just missing a bit at the end.